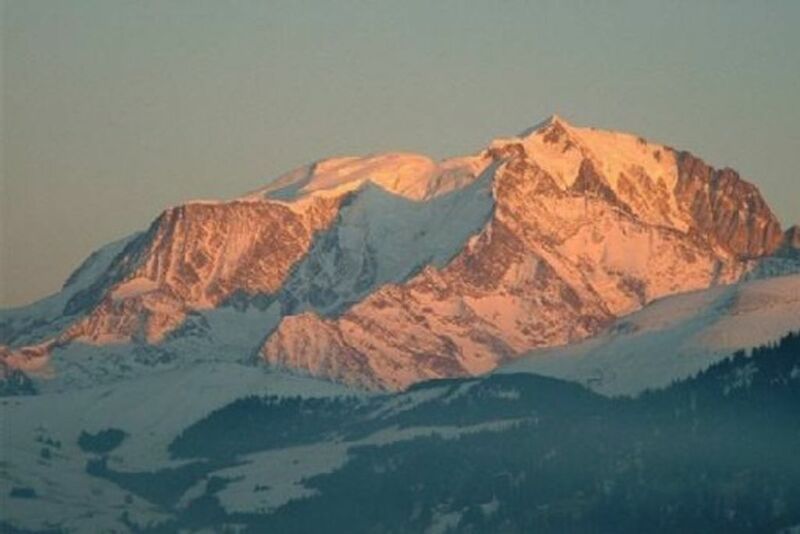 Private rent apartment of 54 m2 with 2 balconies with magnificent views of Mont Blanc, located in the residence of Grattague with swimming pool and tennis in the summer, about 2km from the ski slopes and 5km from the village of Saint Gervais. Free skibus stop at the residence. Sleeps: 1 double bed in one bedroom, 1 single bed in the cabin, 2 single beds in mezzanine. Facilities: flat screen TV, kitchenette, fridge, oven, microwave, duvets, blankets and pillows, board games.